So most couples start Valentine’s Day with a romantic breakfast in bed. 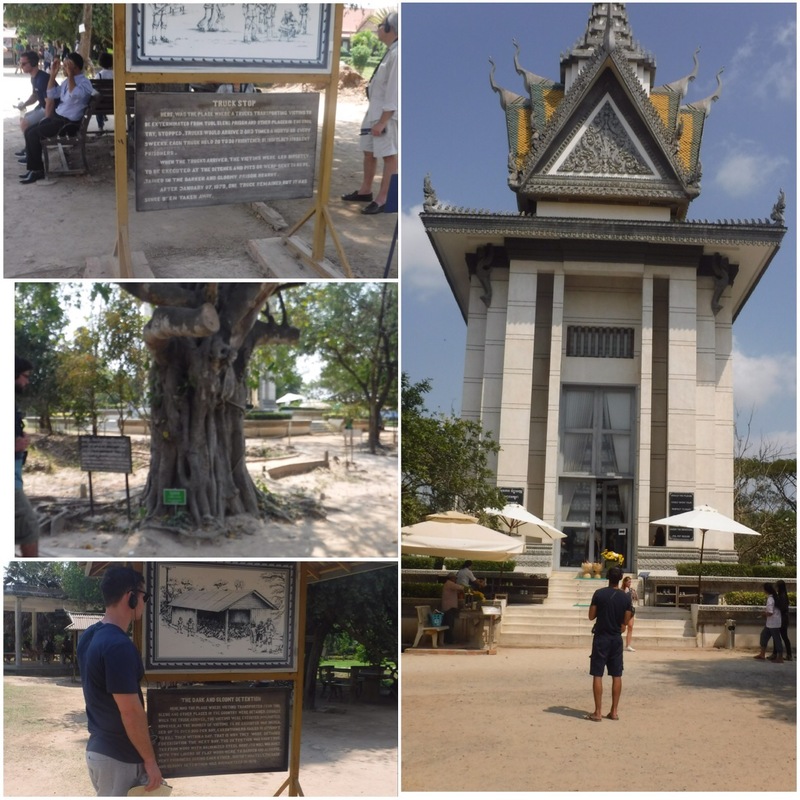 They spend the day watching lovey movies or go out for a posh lunch, we however, decided to go to the Killing Fields and S21 prison. What a valentines to remember. 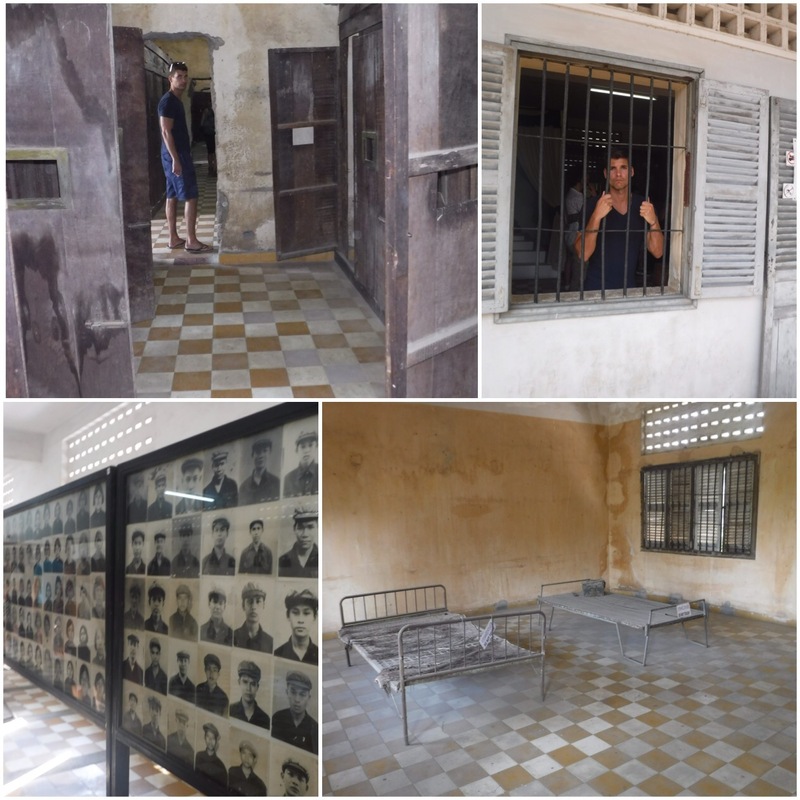 We educated ourselves on the Khmer Regime. On the 4 tragic years of the 1970’s where psychopath Pol Potts ordered the killings of millions of innocent Cambodians. The communist party led by Potts attempted ‘agriculture reform’. If you were educated, if you could be influential, if you disagreed or even just if you looked in the wrong direction, off with your head. 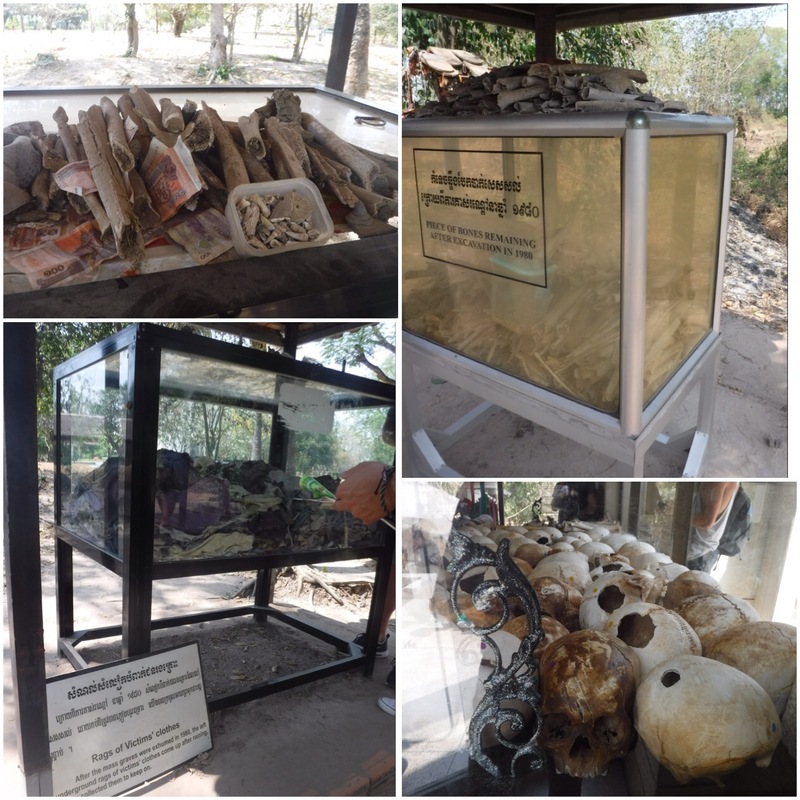 Never have I been to a place that conveys such reality of one mans inhumanity more than Choeng Ek Killing Fields. The sight of the “Magic tree” that Khmer soldiers used as a tool to smash the heads of babies will be forever lodged in my mind. This place was just 1 amongst 20,000 mass grave sites in Cambodia where victims were murdered and buried in secret between 1975-1979. Somehow today it’s a very peaceful place. Thousands of tourists and locals come here to educate themselves and to mourn the dead. 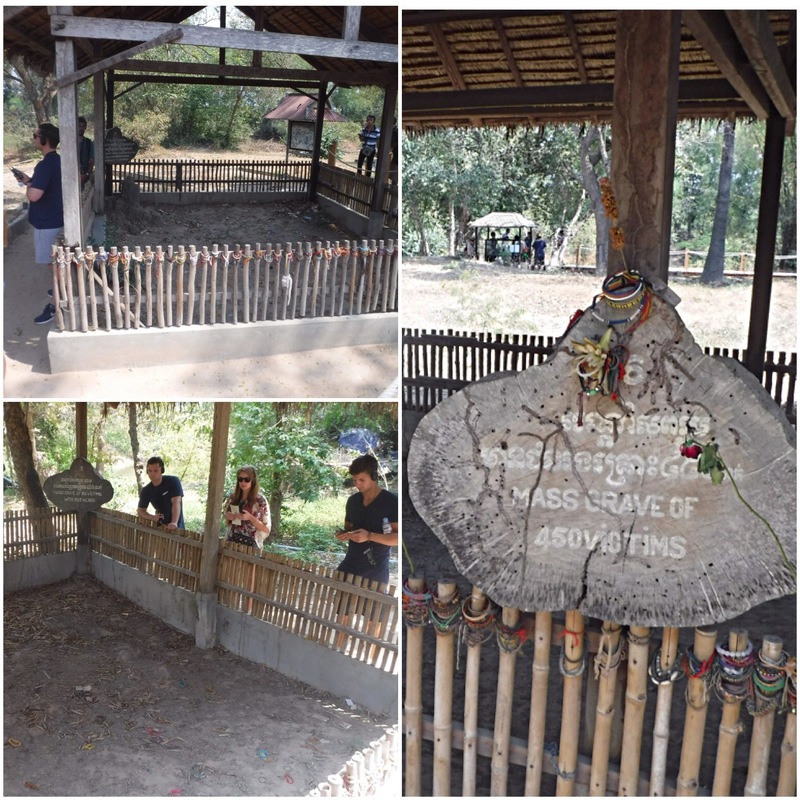 Choeng Ek has multiple mass grave sites where hundred of victims were executed; including one specifically for women and small children. The Khmer Rouge slogan used to justify the murder of the whole family of each victim, including their children and babies. Remains of bones and clothes of victims that have been found over the years are showcased around the site. Bones are still being discovered to this day, over 35 years on! I will never forget the way this place made me feel. Scared, sickened and deeply saddened at the thought of what a human can be capable of. 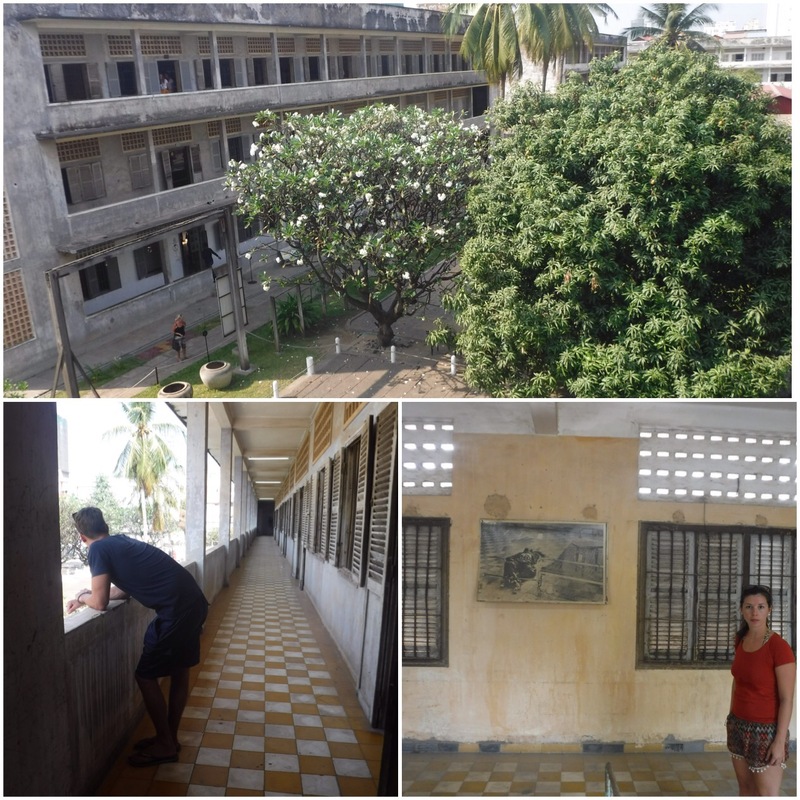 A school shut down and converted into a secret prison; to torture victims until they confessed to crimes that they never committed. It was here that thousands were whipped and beaten until they signed confessions that validified the Khmer Regimes ‘reason to kill’. 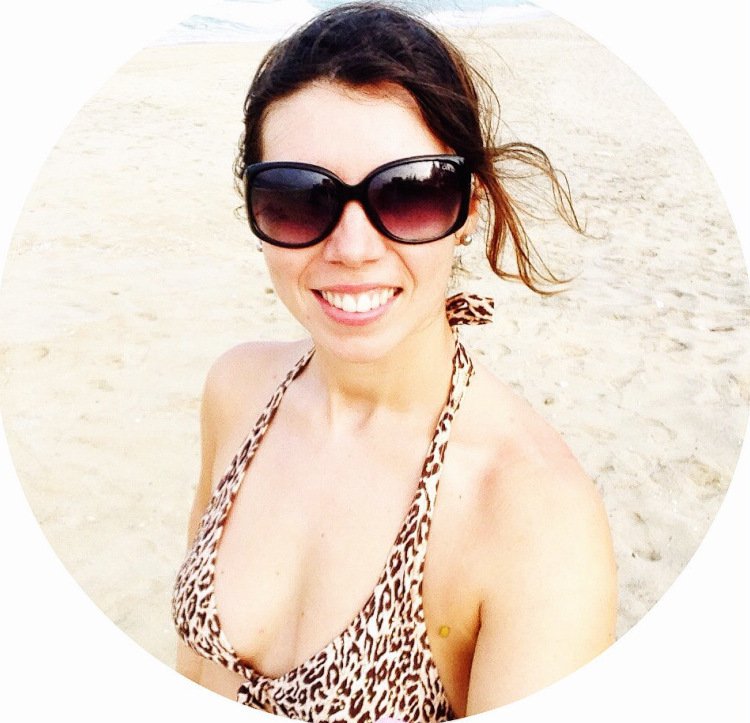 The victim would then be taken to the Killing Fields to be massacred. The prison has lots of information on this dark period in history. There are some very interesting exhibitions on 4 of the survivors of s21. 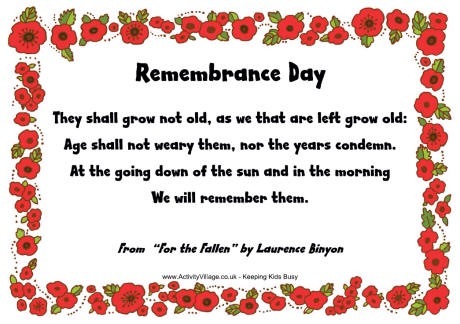 Great men who today use their tragic experienc to promote the importance of education to young people. See, all 4 men were spared their life at the prison because they were useful to the communist party. They had previously obtained skills like art and mechanics and Pol Potts needed them for their abilities. These survivors are sit at the grounds of s21 each day for tourists to ask them questions. Real first hand information. Survivor Mr Mong was an artist ordered to draw a portrait of Pol Potts. He was warned that if it wasn’t good enough, he would be killed. Luckily for him, he was a very good artist. 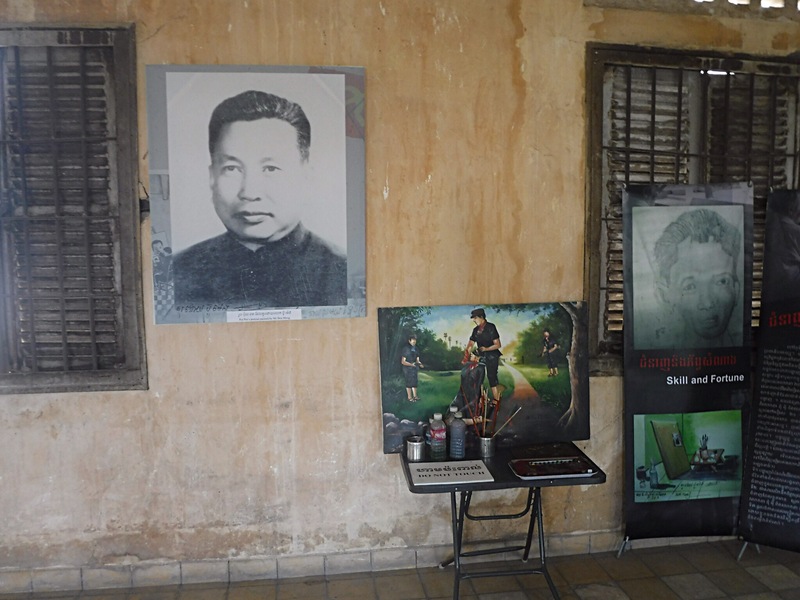 It’s estimated that the total number of deaths resulting from Khmer Rouge policies, including disease and starvation, range from 1.7-2.5 million of a population of 8 million in 1975. A quarter of the population. As a result of this, 70% of the Cambodian population today are under 35 years old! Crazy eh? So not the most standard of valentines for us but definitely a memorable one. Thankfully in 1979, upon realisation of what was happening, other countries got involved and put a stop to Pol Potts and his sadistic ideology. I dread to think what would’ve happened to the history and people of Cambodia if this regime continued.